DA means “yes” in Russian. Yet DA! is more than just a word or a company; it is a way of life. DA! 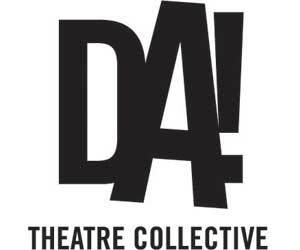 Theatre Collective is the only theatre company in America training in the direct lineage of Russia’s Vakhtangov Theatre. Since its inception in 2007, DA! has honored a commitment to produce, create, and educate using innovative and accessible models. DA! contributes to the local community by producing art that is challenging and invigorating, paying local artists decent wages for their work, and supporting those sectors of the community who are in need by donating performances to local non-profit organizations and Title I Schools. DA! cultivates artistic exploration and facilitates the growth of our members, as well as the larger artistic community, by offering ensemble training, master classes with guest artists, and public classes. DA! is proud to be a not-for-profit collective under the sponsorship of Hyde Park Theatre.